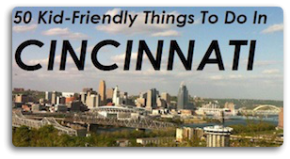 June starts today and the Public Library of Cincinnati and Hamilton County has a ton of fun activities lined up for kids and teens alike for the whole month. Check out a sampling of some of their events below and be sure to check out their main calendar for all events at your local branches as well. When: Friday, June 2, 2017 from 10:30 a.m. – 12:00 p.m.
What: Join us as 4C for Children presents Play & Learn to promote healthy development and learning. 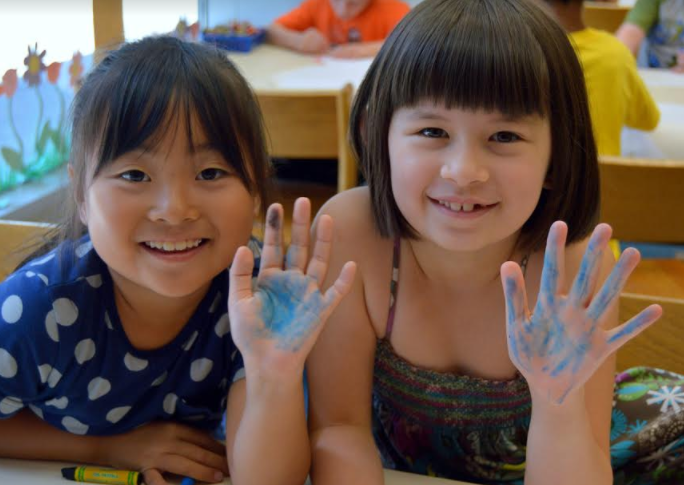 Play & Learn helps parents or relatives, friends and neighbors, who care for children from birth to age 5, that are not enrolled in preschool or child care a foundation for continued learning through school and life. During the sessions, parents and caregivers join in the activities, learn more about their role in preparing children for school, discover how children learn through play, and learn what to expect of children of different ages. Participants also receive activities and materials to take home to extend the learning and the fun! Call the branch to register. When: Saturday, June 3, 2017 from 1:00 p.m. – 2:30 p.m.
What: Do you know the difference between needs and wants? Participants learn through games and hands-on activities how to budget and manage money by preparing a personal spending plan and identify ways to decrease spending and increase income. Presented by The Ohio State University Extension – Hamilton County. For ages 11-18. Registration required. When: Monday, June 5, 2017 from 2:00 p.m. – 3:00 p.m.
What: Make and experiment with ooey gooey slime! 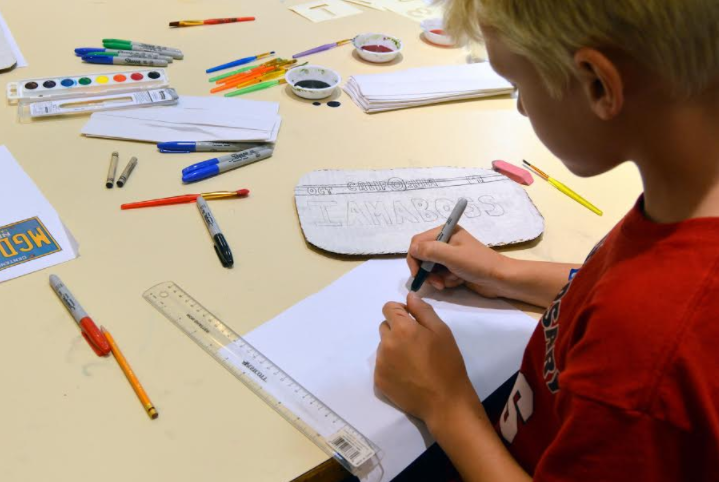 When: Tuesday, June 6, 2017 from 2:00 p.m. – 4:00 p.m.
What: Teens learn the key principles of stop-motion animation and create your own videos using iPads and movie making software! Participants will work in groups to plan, shoot and edit their animated works. All supplies provided, but feel free to bring your own movie stars (aka LEGO people, action figures, or other toy figures). When: Tuesday, June 6, 2017 from 6:00 p.m. – 7:00 p.m.
What: Make and take home a “lava lamp” by combining ingredients in a clear bottle to create chemical reactions. Attach some LEDs, and you’ll truly have a lamp that lights up! When: Wednesday, June 7, 2017 from 11:30 a.m. – 12:00 p.m.
What: Simple activities help ready your child for kindergarten. No registration is needed! When: Tuesday, June 7, 2017 from 2:00 p.m. – 3:30 p.m.
What: Create a galaxy in a jar using everyday objects. When: Wednesday, June 7, 2017 from 3:00 p.m. – 4:30 p.m.
What: Pay Yourself First! Participants will determine short and long range goals and learn about various savings options that will help them reach their savings goals. Saving just a small amount today will net bigger returns in the future, it starts with a commitment. Ready, Set, Save! Presented by the The Ohio State University Extension Office – Hamilton County. For ages 11-18. Registration required. When: Thursday, June 8, 2017 from 2:00 p.m. – 3:00 p.m.
What: Learn how fossils were created, learn how to ID fossils, check out the Allosaurus skeleton on loan from the Cincinnati Museum Center, and create your own fossil cast. When: Thursday, June 8, 2017 from 2:30 p.m. – 3:30 p.m.
What: Come get your hands dirty by making your own colorful, MAGNETIC slime!! When: Friday, June 9, 2017 from 10:30 a.m. – 11:30 a.m.
What: Use magnets, blocks, and your imagination to explore Science! When: Saturday, June 10, 2017 from 1:00 p.m. – 2:30 p.m.
What: Think fast! Your wallet is stolen at a party—including your debit or credit cards, driver’s license and social security number. It happens more than you think. Participants will be challenged with real live scenarios on what steps to take if this happen to them. Presented by The Ohio State University Extension – Hamilton County. For ages 11-18. Registration required. When: Saturday, June 10, 2017 from 2:00 p.m. – 3:00 p.m.
What: Come learn how to make your own paper and decorate it with a marbling technique. When: Monday, June 12, 2017 from 2:00 p.m. – 3:30 p.m.
What: Don’t know where to go to find that rare and elusive Pokemon you’ve been hunting? Come make a Magic 8 Pokeball! It may just have the answers you need to become a Pokemon Master! When: Tuesday, June 13, 2017 from 2:00 p.m. – 2:30 p.m.
What: Capes, symbols, wristbands, and more. Everything you need to fight the forces of evil. When: Tuesday, June 13, 2017 from 6:00 p.m. – 7:00 p.m.
What: Celebrate all things Star Wars! We’ll have the newest Star Wars books and movies to check out. Test your trivia knowledge, make cool crafts, and enjoy themed snacks. Prize giveaways too! When: Wednesday, June 14, 2017 from 11:30 a.m. – 12:00 p.m. When: Wednesday, June 14, 2017 from 1:00 p.m. – 2:30 p.m.
What: Play Payday, Life, and Financial Football. Part of the Thinking Money Exhibit sponsored by the FINRA Investor Education Foundation. What: Debit Card and Credit Cards, they may look alike; but they are very different. Here’s a hint: A debit card allows you to buy now, and pay now and is linked to your checking account. A credit card allows you to buy now, and pay later, with interest (the cost of borrowing money). Participants will learn how to manage their checking account wisely with proper debit and credit card usage. Presented by The Ohio State University Extension – Hamilton County. For ages 11-18. Registration required. When: Wednesday, June 14, 2017 from 3:00 p.m. – 4:00 p.m.
What: Join Jody Jones as he explores the world of physics and science with yo-yos. When: Wednesday, June 14, 2017 from 3:30 p.m. – 4:30 p.m.
What: For this session of Teen Time make your own unique sugar bath scrub using only five ingredients. Select your own scent and coloring. A sweet treat for yourself or as a gift. When: Wednesday, June 14, 2017 from 4:00 p.m. – 5:00 p.m.
What: Join us every Wednesday from 4:00-5:00 pm for an all ages Beginning Yoga class with Yoga Instructor Brenda Zechmeister. If possible, please bring a yoga mat or beach towel, water, and sweat towel to class. 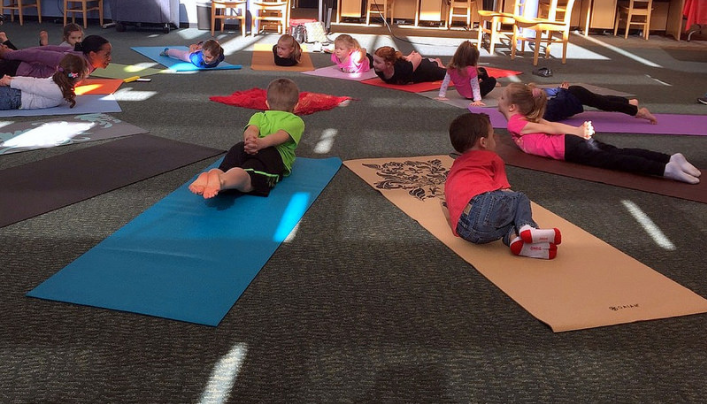 This yoga series is brought to you by the Friends of the Public Library and in partnership with Price Hill Will. When: Monday, June 15, 2017 from 10:30 a.m. – 11:30 a.m.
What: Celebrate the magical creatures that Harry and Newt cherish, and discover the fantastic adaptations that 3 of our local avian ambassadors possess! Raptor Inc. will bring live birds to the library to show and teach all of their magical abilities. Ages 12 and under with caregiver. When: Thursday, June 15, 2017 from 2:00 p.m. – 3:00 p.m.
What: Create a present to gift your father on Father’s Day. When: Saturday, June 17, 2017 from 2:00 p.m. – 4:00 p.m.
What: Marvel vs DC Superhero Face-Off! Superheroes from your favorite comics face-off in a giant game of Live Action Chess in our backyard. When: Saturday, June 17, 2017 from 4:00 p.m. – 5:00 p.m.
What: Prepare to be amazed by Magician Tom Bemmes! When: Tuesday, June 20, 2017 from 2:30 p.m. – 3:30 p.m.
What: Travel the continents while competing in teams to win prizes! When: Tuesday, June 20, 2017 from 6:30 p.m. – 8:00 p.m. When: Wednesday, June 21, 2017 from 1:00 p.m. – 2:30 p.m. When: Thursday, June 22, 2017 from 2:00 p.m. – 4:00 p.m.
What: Amazing Race: Library Edition. Go Around the World in 90 minutes or less! Tweens & Teens, 5th grade & Up. Sign Up Today! When: Thursday, June 22, 2017 from 2:00 p.m. – 3:00 p.m.
What: Come learn about this ancient art form and create a temporary tattoo for yourself. 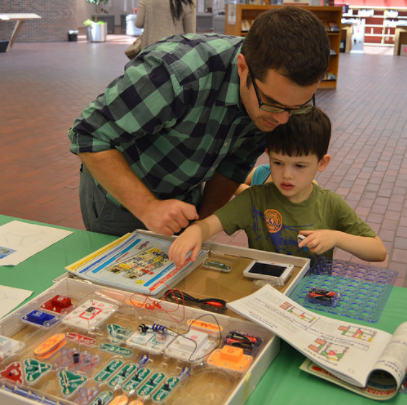 When: Thursday, June 22, 2017 from 4:00 p.m. – 6:00 p.m.
What: Experiment with littleBits and create a custom animatronic. In partnership with the Wyoming Middle School. When: Friday, June 23, 2017 from 3:00 p.m. – 5:00 p.m.
What: Watch a Japanese movie, eat some Japanese foods, and learn about Japan! When: Saturday, June 24, 2017 from 11:00 a.m. – 12:00 p.m.
What: Teenager Vivienne Konz, a certified children’s yoga teacher, makes yoga fun by incorporating art, music, and children’s literature into each class. Children of all ages, and even parents, are welcome to join! Wear comfortable clothing. You may bring a yoga mat if you have one, but it is not required. When: Saturday, June 24, 2017 from 1:00 p.m. – 2:30 p.m.
What: Leases, Expenses, and Roommates Oh My! This class offers a reality check experience about living on your own. Participants will investigate costs associated with leaving home for the first time, obtaining furniture, renting an apartment, signing a lease and the advantages and disadvantages of having a roommate. Presented by the The Ohio State University Extension Office – Hamilton County. For ages 11-18. Registration required. When: Tuesday, June 27, 2017 from 3:00 p.m. – 4:00 p.m.
What: Join us for a special performance by the Greenhills Strings, a local favorite specializing in traditional, folk, Irish and gospel music. When: Wednesday, June 28, 2017 from 3:00 p.m. – 4:00 p.m.
What: Have a blast playing Giant Kerplunk at the library and get a chance to win two one day tickets to Kings Island! All Ages. When: Wednesday, June 28, 2017 from 6:30 p.m. – 8:00 p.m.
What: Come join us for a special after-hours program for families with special needs. This open house event is designed to provide an opportunity for a low stress visit to the Library to explore the collection, activities and educational resources. When: Friday, June 30, 2017 from 2:00 p.m. – 3:00 p.m.
What: Meet four legged heroes from the Buckeye Search and Rescue Dogs, and discover how they rescue those in need. All ages welcome.